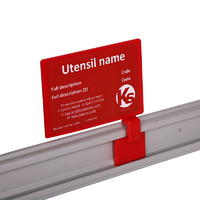 KsPrism's colour coded utensil hanging system is accepted by many to be the most effective available. 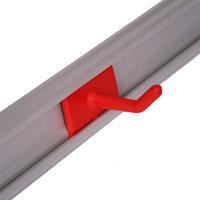 Choose from food contact approved plastic, stainless steel hooks and holders to compliment the anodised aluminium wall rail. Also consider the new ultra hygienic one-piece Multi-Hook. All of Klipspringer's wall rail systems are manufactured to superior standards, resulting in a durable products that last. 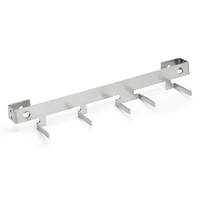 Designed to handle regular use, our range of mini boards wall rails and single and double hooks will meet your organisation's needs for effective and hygienic wall rail systems. Find out more below or give us a call on 01473 461800 to discuss your requirements. MiniBoards with bespoke printed message, allowing you to present bespoke instructions with each KsPrism wall rail system. Unprinted MiniBoards allow you to present bespoke instructions with each KsPrism wall rail system. Anodised aluminium wall rail with food contact approved colour coded endcaps. Combine with stainless steel or nylon hooks and holders to create the utensil storage combination required. 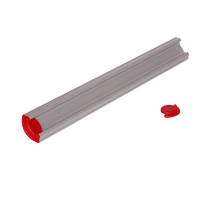 Replacement end cap for anodised aluminium wall rail system. Available in 10 food contact approved colours. 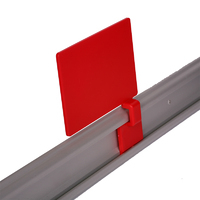 Colour coded and robust polypropylene holder with rubber clamp, compatible with KsPrism wall rail system. 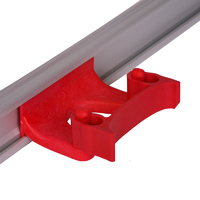 Food contact approved, reinforced nylon hook compatible with KsPrism wall rail system. 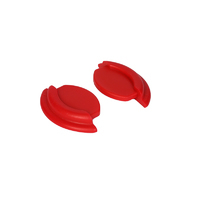 Fits all standard size hanging eyelets. Available in 10 colours. 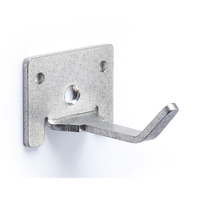 Heavy duty, food contact approved stainless steel hook compatible with KsPrism wall rail system. 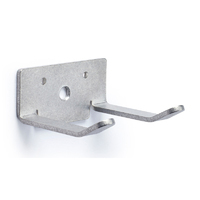 Heavy duty, food contact approved stainless steel double-hook compatible with KsPrism wall rail system. Designed to hold D-grip and T-grip handles. 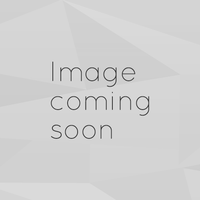 One-piece utensil storage solution made from food contact approved stainless steel. Heavy duty hooks suitable for every type of utensil handle. Carefully designed for maximum hygiene. 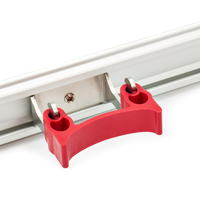 Stainless steel holder with rubber clamp, compatible with KsPrism wall rail system.